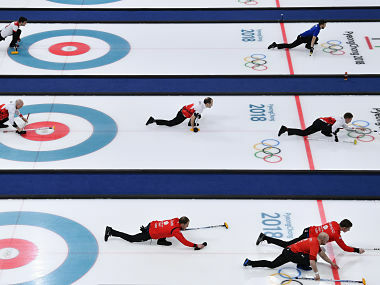 Gangneung: A Russian curling coach on Monday sprang to the defence of Alexander Krushelnitsky, the curler at the centre of doping allegations, saying: "It's stupid and Alexander is not a stupid man." Sergei Belanov, women's curling coach for the Olympic Athletes from Russia, dismissed reports that the mixed doubles bronze medallist had taken the banned drug meldonium. "No benefits. No advantage" said Belanov. "And I don't believe a young man chooses risk or will use the same drug that has been around for two years. "It's stupid and Alexander is not a stupid man." 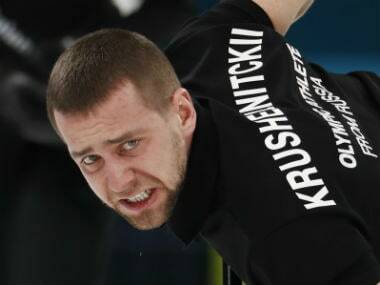 Krushelnitsky is the only curler named Alexander on the Russian team. Various Russian reports have named him as the athlete involved. 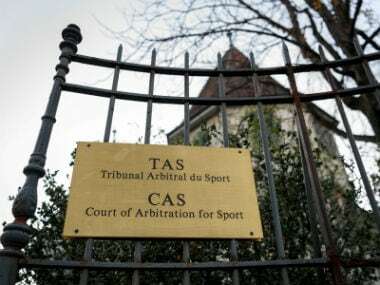 A spokesman for the OAR said an A sample from a Russian athlete showed a possible violation of anti-doping rules and a B sample would be tested on Monday. "I would never believe someone on our team would do that," said women's curling skip Victoria Moiseeva. "I don't know how he could do such a thing and sleep at night because it's not only him, but it's the whole nation." Russia was banned from the Pyeongchang Olympics in December following a probe into state-sponsored doping but 16 clean athletes were allowed to take part as independents representing the OAR. "We all know what happened before," said Moiseeva. "We would never risk that. We don't know how it happened. We would never believe he would have done it on purpose." 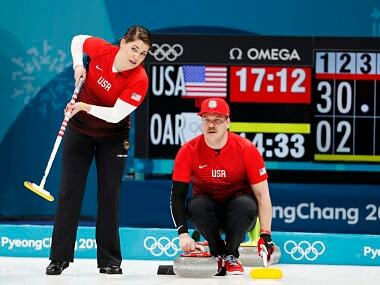 Krushelnitsky and his wife Anastasia Bryzgalova captured the bronze medal last Tuesday in the mixed doubles. "I can't imagine how he and his wife feel. There are no words to comfort them now," Moiseeva added, saying teammates were affected by the news as they lost 11-2 to Switzerland in a pool game Tuesday morning. "We wanted not to think about it when we found out, but it was still in our heads," Moiseeva said.